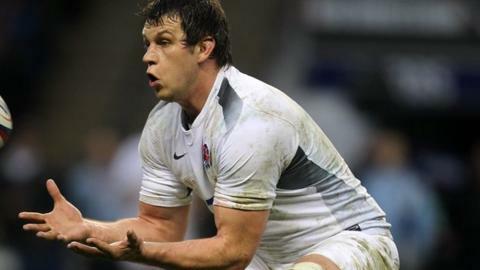 Former England forward Louis Deacon has joined the coaching staff at Championship club Moseley. The 35-year-old returns to the domestic rugby scene 11 months after retiring as a player with a back injury. The ex-Leicester lock will work with Moseley director of rugby Kevin Maggs, the former Ireland centre, and will concentrate on line-out play. "We're extremely pleased to get someone with his vast knowledge of the forward game at the highest level," said Maggs. "In particular, his command of line-out play over 14 years at Leicester will prove invaluable in the club's Championship campaign during the second half of the season." Midlands-based Moseley, one of England's great rugby clubs in the amateur era, are currently bottom of the Championship and in danger of relegation to National League Division One, having won just three times in 13 games this season. Louis Deacon made 274 appearances for Leicester Tigers, and helped them win six Premiership finals, two Anglo-Welsh Cups and two Heineken Cups. He was a member of England's 2011 World Cup Squad in New Zealand, and won 29 caps in total. Since retiring, he has remained active in rugby as an ambassador for the Matt Hampson Foundation, as well as working as an assistant coach to the Spanish national team.